JAIDENS PETALS ... CINDILOOWHO ...: My absolute favorite client, who has pretty much been there with me since day one, is Christina. She's the kind of person that orders valentines' posies for her staff every year. This was her Valentines' present this year. 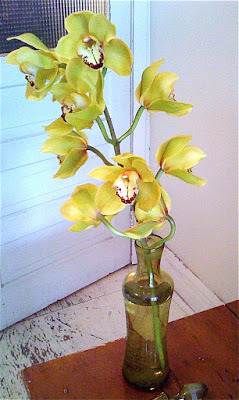 The most beautiful vintage bottle with stop and a glorious yellow/green Cymbidium Orchid. It was one of my greatest memories of the day. My absolute favorite client, who has pretty much been there with me since day one, is Christina. 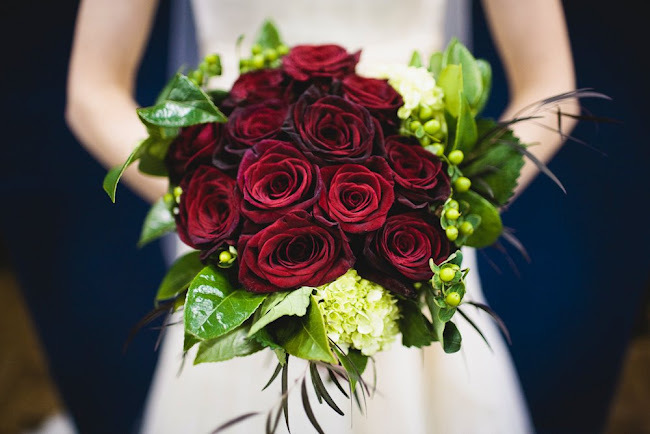 She's the kind of person that orders valentines' posies for her staff every year. This was her Valentines' present this year. The most beautiful vintage bottle with stop and a glorious yellow/green Cymbidium Orchid. It was one of my greatest memories of the day.